Nurse Assistants play a vital role in children’s mental and physical health development and managing heath conditions. They work toward student’s good health and lifelong achievements. Today’s children’s are tomorrow’s citizens and future of a country. It is also not wrong to say that a country’s future depends on these kids because they can shape a country’s destiny and play a decisive role in the prosperity of a nation in the future. However, to play such roles in the country’s future, these children must be healthy and wise. From kindergarten through graduation, they must be physically fit and free from health problems. Therefore, it is the responsibility of teachers and parents to see that children do not miss learning opportunities by keeping away from schools, or miss classes due to health conditions. It is also a fact that by missing each school day, children are missing learning opportunities that not only affect their future but also risk ours as well as nation’s future. 58.7% students missed 1-5 days of their schools, 12.2% missed 6-10 days, and 6.2% lost more than 11 school days. Among these students, 14.9% special health care needs (CSHCN) and 3.5% on-CSHCN children missed 11 or more school days. The survey outcome clearly shows that nurses and CNAs can work closely with parents, teachers, and administrators in meeting health care needs of these children and preventing them from missing their learning opportunities. Certified nurse assistants are best placed to meet short-term and long-term health care needs of the school children. They can work closely with physicians, nurses, parents, administrators, and teachers in promoting good health and academic success of students, and meeting their emotional, mental, and physical needs. 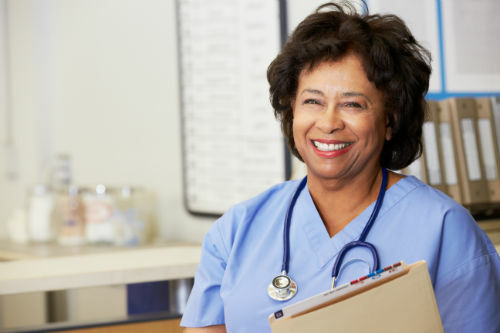 Nurse Assistants work closely with teachers, administrators, and nurses for formulating and implementing school health programs, policies, and plans, and infection control measures in and around the school. They monitor children’s health regularly and obtain, maintain, update, and document their medical history. They also advise students, teachers, and staffs on preventive health issues and provide health counselling, first aids, and emergency aids to the needy. It is the responsibility of nurse assistant to use proper infection control measures for preventing the spread of infections and communicable diseases in the school. They regularly conduct preliminary nursing assessments, take vital signs, assist in administering vaccines and immunization programs, and manage medical inventory. They also counsel students on substance abuse, pregnancy problems, and sexually transmitted diseases, and liaison between administrators, health officials, and community agencies on student’s health care issues. To become a school nurse assistant, an individual must be certified as a certified nursing assistant. They must complete OBRA-87 approved 75 hours or more CNA Training program in post-secondary school, community college, technical college, or adult education center, and pass the competency evaluation exam. The length of the training is 4-12 weeks, consisting of classroom theoretical education, and hands-on clinical experience in a heath care facility. The course curriculum includes nursing and non-nursing subjects. Once, applicants complete training programs, they are eligible for the state-approved competency evaluation exam for a CNA Certification. The assessment exam has two separate parts – a) The written or oral exam, and b) The Skills Test. The candidate must pass both tests to get certified as a Certified Nursing Assistant. Also with nurse aide training, Nurse Assistants must also complete first aid and CPR certification training to work as a school nurse assistant. The qualified nurse assistants can work in different types and sizes of schools like Elementary and Pre-schools, private, vocational, public high, jr. High, and middle schools, and alternative schools. This entry was posted in Press and tagged Assistant, Nurse, School.